Clouds far down below viewed from a passenger airplane window. 4k00:16Traveling by air above beautiful clouds. 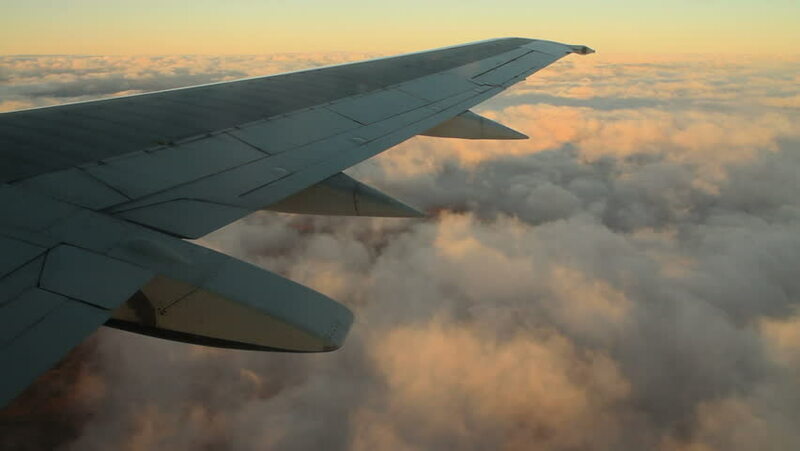 View through aircraft window on cloudscape and airplane wing at sunrise hours. 4k Ultra HD 3840x2160.